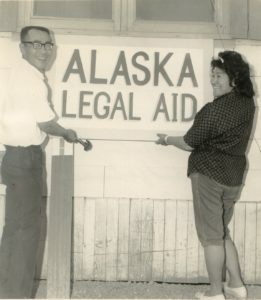 Alaska Legal Services Corporation (ALSC) is a private, nonprofit law firm. We assist clients who are facing critical civil legal issues ranging from consumer law, family law, housing issues, public benefits, healthcare, Alaska Native law, and other areas specific to veterans or the elderly. By volunteering your time and expertise to ALSC through our Pro Bono program, you are helping low-income Alaskans and their communities have access to the justice system that they might not have been able to obtain otherwise. The Pro Bono Training Academy (PBTA) provides support for successful pro bono advocacy through legal webinars, library resources, and mentors. Contact Sarah Carver at scarver@alsc-law.org for more information!